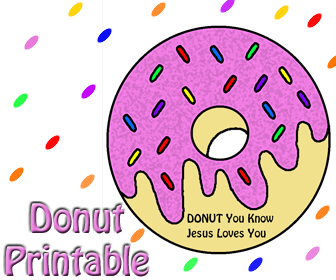 I have created this page because I didn't really have a category for these printable template cutouts to fit into. These are very easy and simple cutout crafts for small school aged children. I have also created most of the templates in black and white so the kids can color them and also with NO WORDS so that way it can be used in school settings or for something else. There may be some cutouts I made that are only colored and with words. 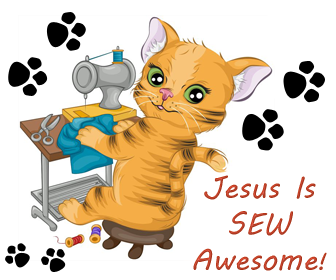 Like the Kitty Cat Jesus is Sew Awesome printable. That one only comes in color and has words. I didn't make a separate template for that one. 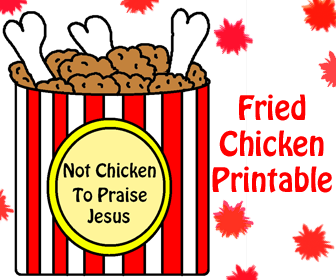 To remove the words on any of the printables just download the printable to your computer and then open it up in your PAINT program. Click on the eraser in your paint program and erase the words. After your done then just click PRINT PREVIEW to make sure it looks right and then print it out. You can also change words to fit your class needs. 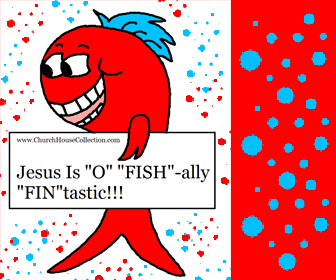 The paint program is a pretty useful tool that I use all the time. Very handy. 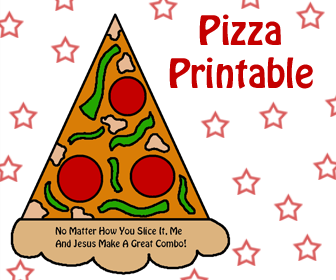 Most templates are pretty easy to cutout however their may be some that may be a little hard to cutout in some spots. 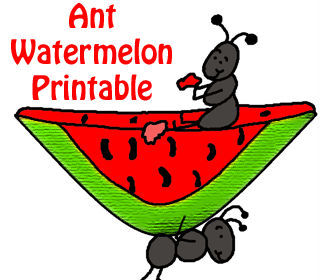 For instance the ant with the watermelon cutout printable may be a little tough to get around the ant legs and antennas. So you might want to help the children get around those areas. 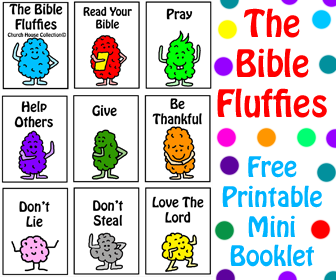 These are perfect for use in Sunday school or for in Children's church. These are fairly large templates and will fill an 8.5x11 sheet of paper. 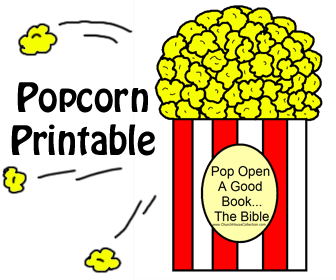 Try incorporating your Bible lesson and scriptures in with some of the printables below. 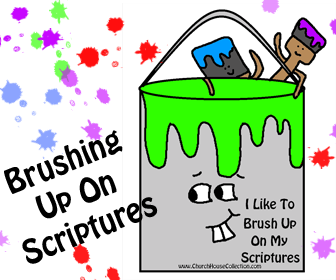 If you have small children at home and you want to give them something fun to do to pass the time then let them have fun coloring one of these printables and then help them cut it out. 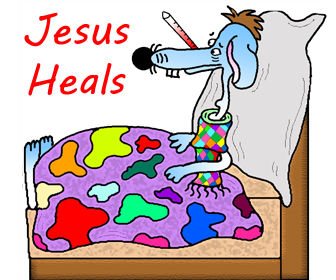 If you want to use these colored clip art images for personal use then feel free to use that too. 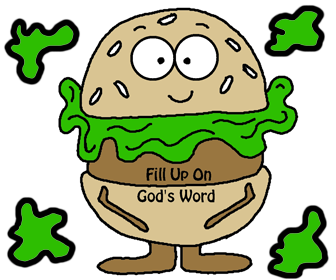 All of these cartoons clipart images are hand drawn by me except the kitty cat one. 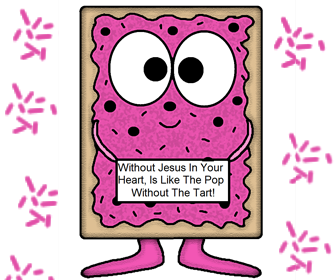 Is Like The Pop Without The Tart!" 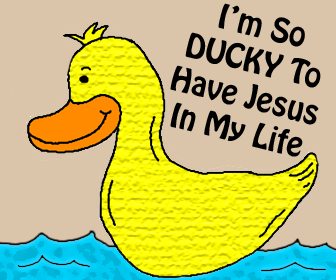 Me And Jesus Make A Great Combo! 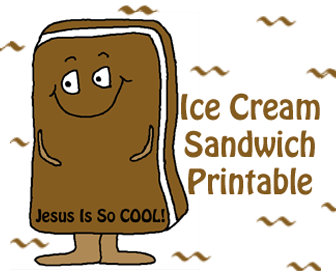 Ice Cream Sandwich "Jesus Is So Cool"